Jagadishwar Mall is a one-of-a-kind shopping mall that has it all ! Rising high in the swanky and most celebrate part of Hyderabad, road No.36 will soon be a sparkling jewel of jubilee Hills, with a volatile blend of fancy shopping outlets and classy restaurants for the elite residents, this mall will have the visitors intoxicated at first sight. Shanta Sriram’s attention to details will ensure a happy experience, every step of the way! The 80,000 Sq.Ft. 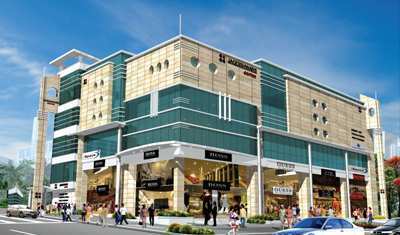 Jagadishwar Mall is expected to be completed by December 2014.